…well…now what do we do? We find ourselves at the book’s third chapter on reaching through an ADHD partner’s denial of ADHD in Chapter 15. Here, Taylor explains how she used my suggested techniques to reach through her husband’s “denial” of his ADHD symptoms. , Is It You, Me, or Adult A.D.D.? Each post discusses a chapter of the book. “Why can’t she understand that if she over-spends again, we’ll pay fifty dollars in overdraft fees?” “Why can’t she hear her the harshness in her voice when she yells at me and the kids? Chapter 15 helps us integrate everything we’ve learned up to this point, so that we can raise the subject of ADHD with our partner and have more confidence that we will be heard. My biggest takeaway from Gina in this chapter: Focus on the problem and the solution without blaming the person. For example, before my husband’s ADHD diagnosis and treatment, that math professor would spend hours fixing formatting errors in homework sheets. These homework sheets drove him crazy. He even learned new computer languages and programs so that he could format papers correctly! Then, thanks to his ADHD—and for the sake of fixing these formatting errors—he would lose track of time during his workday, forget to pick up the kids at school, work late into the night, and lose track of his larger research projects (the ones his job depended on!). 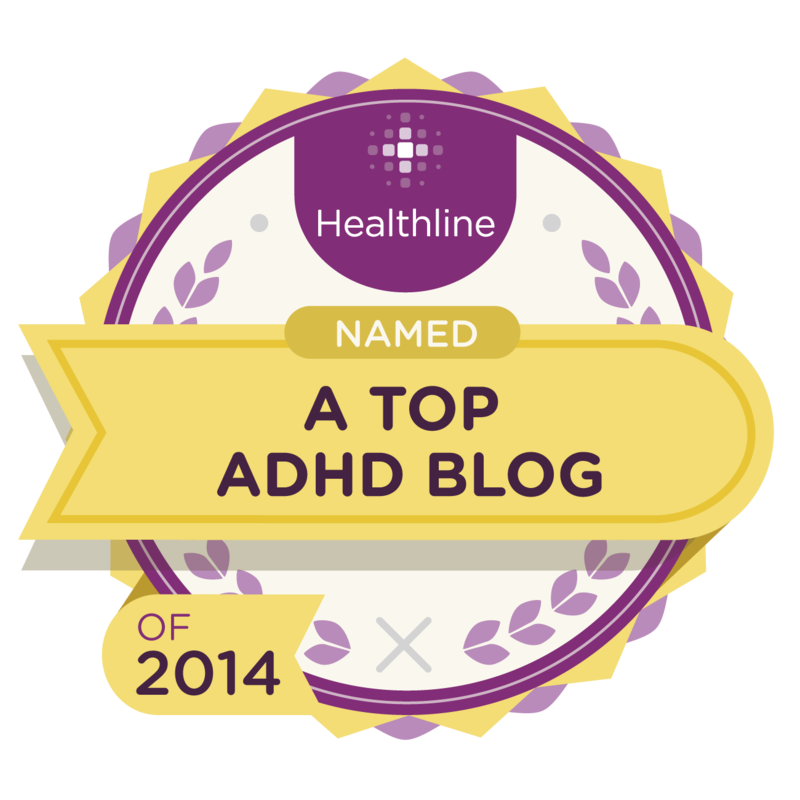 Of course, I didn’t know about ADHD and these crazy little things called “microfocus” and “macrofocus.” I didn’t understand that my husband had a treatable, neurobiological condition that made his focus difficult to regulate. I just thought he didn’t love the kids or me as much as he loved the typesetting program! By applying the tools in chapter 15, I was able to remove my blaming language from the discussions about typesetting and time management, and focus on solving the actual problem. These behaviors are not his personality traits, personal choices, or deliberate decisions he made in a rational manner. Once I made the decision to view the typesetting and time management issue through this lens, I felt less emotional pain over the subject. As a result, I was able to make more loving, informed choices about how to discuss it with him. Application 2: Identify the actual problem. Whatever the cause of the problem, I still needed our kids picked up from school, (on time!) while I was at work and he needed help setting priorities, boundaries, and goals. 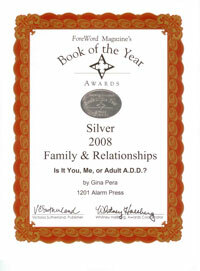 Gina adapted one of Amador’s communication tools to help us reach our ADHD partners, and it worked quite well for us. The shift in perspective helped me to realize that I’d set myself up as my husband’s adversary, or as his critic—not as his lover and partner. These techniques helped me recalibrate my language, and re-taught me how to listen and empathize. I noticed with my husband that, if I said certain words, they seemed to activate a switch in his head that shut down all further communication. I learned to acknowledge that, while I could be wrong about his motives or intentions, I needed certain things from him, or I would have to take different action that he may not like. 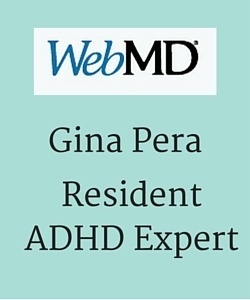 Early on, I couldn’t make my husband believe that he has ADHD, or go see a doctor. Yet, I could ask him, “Do you mind if I call you to remind you to leave? Can I stay with you on the phone until you’re out the door?” He loved that idea, and it worked. I was able to take five minutes away from work (instead of forty-five) to call him, and our kids finally had reliable transportation. Eventually, he found an app for his smartphone that reminded him when to leave. Soon, he didn’t need me to call him any more. It took me a while for my hypervigilance to abate, though. Application 6: Learn to trust my own perceptions, allowing that I could be wrong. But here’s the thing: He wasn’t satisfied with his own performance, and he was getting depressed when he thought about the direction his career was taking. I may not understand the daily life of a professor, but I understand what an unhappy husband looks like. I encouraged him to talk to trusted mentors and to friends at different colleges, and to investigate solutions for himself. “I could be wrong,” I would say, “so ask someone who really knows if this struggle with paperwork is normal.” It took a while, but he did reach out and gained some needed perspective. 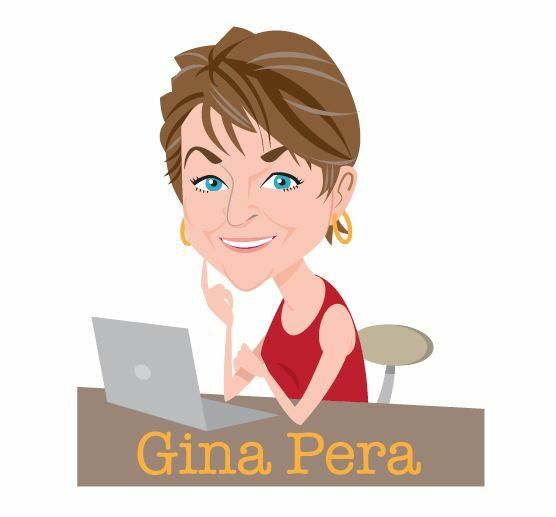 I’m so thankful that Gina gave us tools to re-frame our discussions from blaming the individual to naming the problem. It was the first step towards getting him effective treatment. What is one of your ADHD partner’s traits or habits that bother you the most? Does it seem to be personal? Could it be ADHD-related instead? What is the actual problem (the result of the behavior that bothers you) in question 1? Can you think of a solution that does not involve blaming? What is the difference between empathizing with your spouse and approving of your spouse’s problematic actions? The book club is always open. Jump in any time. Thanks for your participation. Re: “Eventually, he found an app for his smartphone that reminded him when to leave. Soon, he didn’t need me to call him any more”…. to make sure he hears it. So I do, and he does it, mostly. But its the only way he can cope. ADHDers need simplicity and simple tools. Funny thing, if he sent me texts of what he wants done, id be irritated! Great strategies, Joy! And I love the re-frame….”high tech communication skills” indeed. Bravo! Hes quite bright, he just cant remember anything. Cause and effect are Not a value, IMHO. But whatever works for your particular situation, use it! People still have personalities and things that push buttons or make sense. But The List is a Big Deal in this house. As far as your husband feeling like you’ve issued an ultimatum in such cases, I can understand where he’s coming from. It probably all sounds like words and criticisms, with no way “out” of the problem. In those cases, you might want to focus on problem-solving, really breaking down the challenge and seeing where strategies can be implemented. Been there done that, over and over, to the now almost certain upcoming, “yup, I failed to help myself again”. What is it that they (those who are supposedly sane) say, “insanity is doing the same thing over and over again expecting a different result”. The Dilema is, I have managed to get the same results in many dissimilar ways. Do I protect myself and say it’s everybody else’s fault? Rarely. Do I blame other individuals, or specific actions that were taken that might have caused the events to occur as they did? Sometimes. Have I sought out help from others; those close by, friends, relatives, professionals, medical doctors. Yes, Yes, Yes, Yes. But I didn’t know the problem. Have they been helpful, frustrating, neutral, or harmful? Tell people how you feel, shower the people with love, smile and the whole world smiles, you’ve got a friend…. Rats, there’s that unexpected, now expected, but still frustrating slide off the cliff. Sometimes I jump, sometimes I am pushed, sometimes it just seems like an avalanche. After years, and decades, it’s a sense of hopeful hopelessness. A positive outlook on an unknown, unseen and inexperienced continually shorter future. Rick Green this week on his blog talks about the inability to experience satisfaction in jobs or tasks well done… That’s me. He talks about not being able to take complements and let them soak in, that’s me. He also talks about dopamine, and insufficient rewards. For me Those insufficient rewards and,sadly, others in my life, have led me to a “what have you done lately” sentiment where I essentially repeat that to myself and beat others to the punch. I even seem to feel that I fail at the things I am and am told I am really good at. What I am really failing at is knowing who to talk to, when I can’t verbalize or know what I, or what others, specifically want from me, or need at the immediate times when a person to person or people interaction is needed, and an outcome or action is variable with consequences dependent on the people involved rather than the situation itself. Give me time to think things through and I can come up with alternatives. Start an action and I can immediately improve on it, if the outcomes or processes matter to me, but the result isn’t about me. This is especially a problem, for me, with people who I, for whatever reason can’t know or don’t trust, to be helpful to me, or more often, to not be harmful to me. If there is a process in place and goals that I understand, I can usually fulfill and or improve on both, exceeding expectations, but not always in ways that people understand or accept without applying negative or unflattering motives, or worse. The ADD, executive function, causes and has caused, and will cause difficulty, that I hopefully will cope with, through the help of others, and Medication. Sadly, the ADD also turns off others willingness to help me, and lately my past enthusiasm and persistence. “I didn’t know” and I struggled, “I did know”, and I, with hope, struggled. I’m learning more and am still struggling. Denial as to ADD for me, at least it’s negative consequences, having been surrounded by it, was never an option. But in relation to understanding the personal consequences in regard to knowing what is happening and why, in the moment, especially in regards to relationships, and the ever present vigilance and practice necessary to fulfill responsibilities, meet expectations, for the things that are important (which I have dwindled to a bare, even insufficient minimum), not to mention the things that are annoying, that may tend to add up in others eyes, any denial I ever had is gone. But this also can lead to self doubt as to my confidence even in situations when I am doing the right thing and thinking very well. I’m very grateful for the things I have and can do, I am very sad I felt I needed to take an outsiders position from my life and my unknown and now known ADHD. For too long I focused on trying to learn how to be like, and liked by, others, by imitating, as best I could, what I saw in others immediately around me, just to fit in ways that I could, with the burden of feeling I had to do even more, just to be accepted and accept myself. 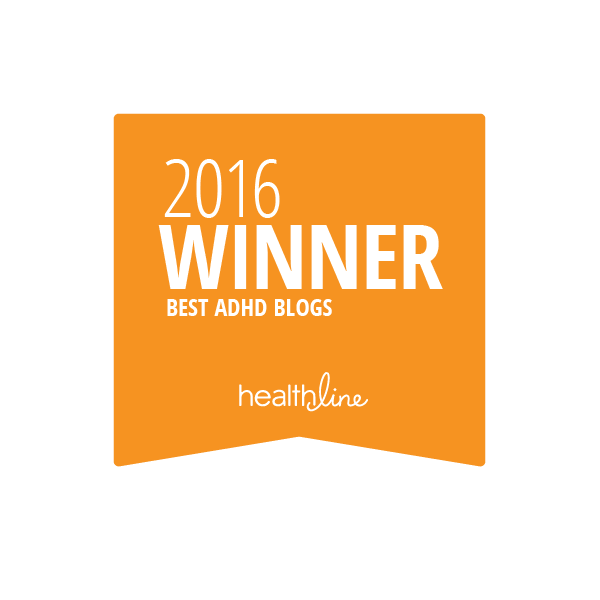 I read often about people denying their ADHD, and their actions, as I’m sure I did. I don’t read much about people, especially children, much less Adults, with ADHD denying themselves, as a coping strategy. Your eloquence on what is essentially “society’s denial of ADHD” is really heart-wrenching. That it takes people such as you stumbling in the dark for so many years, seeking answers….grrr. I hope you are enjoying a beautiful spring. I understand the typesetting , formatting of the homework sheets. Time use is the biggest problem. 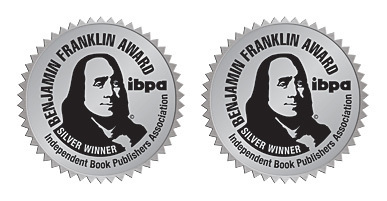 The benefits are that after you have fixed and learned and deciphered the program, it’s possibilities, and learned all the things you can do to make sure you don’t spend so much time worrying about formatting, you can focus on the content that is the purpose and not the formatting mistakes on whatever your doing. In the long run it will save you time in the future? And you learn more about computers, software, etc… than you otherwise would. Once you solve (though never totally) the formatting problems you get a quick jolt of concentration juice and actually finish the important thing that has been sitting right in front of you for the last couple of days. So after years of begging, pleading, and threatening a divorce, my husband finally got diagnosed with ADD and over the last three years has been on meds and seen a life coach. He is slowly starting to accept his diagnosis and seek help to improve his symptoms. Everything I read tells me to not make it personal -it’s about the symptoms -but I need him the REALLY GET how his symptoms and his denial have made my life hell for years, almost destroyed our family repeatedly, and denied our children the father they deserved for the first ten to twelve years of their lives. I also need him to understand everything I went through to get him diagnosed and treated in order to help him. I’ve sacrificed the last fifteen years of my life to this disease instead of leaving him. It’s personal whether it’s symptoms or his personality. To do this he needs to see his past behavior objectively. When I talk about how he used to behave it’s difficult. He doesn’t see it. He thinks the way he has behaved for the last three months takes away the pain of the last 15 years. I can’t get him to understand. He is in denial as to the extent of damage he did to us. I understand completely. It’s very hard to let go of the past until it is acknowledged and validated. At the same time, your partner was not diagnosed or treated for those years. The main issue might be: What do you hope to accomplish, by him acknowledging how hard his ADHD was on you and the family? Do you want him to cut you more slack and be more patient with you, if you haven’t exactly climbed on the “oh, life is so wonderful now” bandwagon? What, specifically, are you looking for? Asking someone to acknowledge something that they don’t remember or understand….might be an exercise in futility. Writing down a list of the trials you went through….that might be provide more tangible data. But again, what is your end goal? Life really isn’t wonderful – just more tolerable. My husband basically married me and then disappeared into himself and his career. We had two children immediately because we were both much older and wanted children. So as soon as I served my usefulness of becoming pregnant he was gone. No help with complicated pregnancy, home, raising children, etc. When my pleadings and bitterness grew, my attraction towards him diminished. When my career was sacrificed to be the sole caregiver of our house and children (I have a doctorate just like he does and we agreed to be more equal in careers before having children), he not only used that as an excuse to work more, but then belittled me for not bringing home an income because he was not able to see the tasks needed in taking care of children and a home and acted like I was overdramatizing what I accomplished at home. He had zero responsibilities towards his family and threw massive fits when I asked for him to be accountable to us in ANY way. When I did not admire him like he claimed I should admire him he began having emotional affairs with women who would admire him. When I would confront him about the emotional affairs he would tell me that he had a right to them, and asked me why he should come home to me when these women treated him so much better. It got much worse that i don’t even want to explain – financial difficulties, trapping me in a geographical location where I hated living, but he refused to move for seven years, and perpetual dishonesty. These aren’t things that I can just forget. I don’t care if he was diagnosed or treated yet. He wasn’t diagnosed or treated because he fought me that he didn’t need diagnosed or treated. I need him to acknowledge my pain. I think a lot of people who suffer at the hands of ADD need their pain acknowledged. When an adult hurts you – no matter how – no matter whether or not they remember – the pain they caused you needs to be acknowledged. We can forgive children when they hurt us. But this is part of beginning to think of our ADD partners as adults again. Every time I read some ADD article that tells me that the big trap in relationships is the parent/child cycle. Well…….that’s not the fault of the non-ADD partner. We can’t help that we think of the other partner as a child when they exhibit child-like behavior. This is an example. You can’t hurt someone like ADD partners hurt their partners and just say that it’s the symptom and expect us to forget it. That would put us back into the parent/child dynamic. I can forgive, move on, and trust my child after hurting me – not my partner – without acknowledging what they have done and asking for forgiveness. We wouldn’t tolerate that from partners with any other disease process. Why should we be asked to tolerate that with ADD? I need this to move on in our relationship and to begin to trust him. I need to understand the impact that his ADD has on our life so that I can trust that he will continue to work on these issues knowing what not working on them does to me and our kids. I need to know that he knows the consequences of not trying. I can well appreciate the hurt you endured and understand why you can’t just “get over it.” Especially without being validated by your husband. 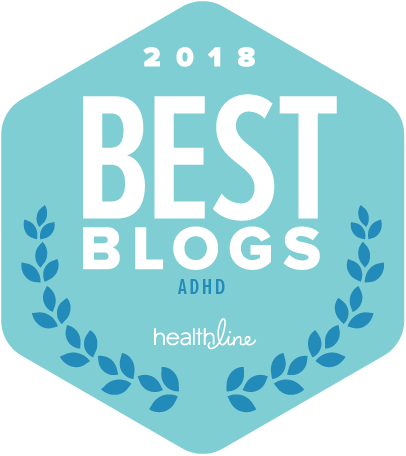 It might be possible that, with time and your attempts to explain what it was like, your husband can come to understand the repercussions of his poorly managed ADHD on you—and feel empathy for you. He might have more compassion for a character in a film in such a situation, however, where he can see it objectively while not being involved himself. It might also be possible that he will never be able to comprehend the effect of his behavior, especially due to the delay in getting a diagnosis and treatment. I don’t know how to “make” such a person become sympathetic and remorseful. Especially if their personality doesn’t lean in that direction. The main thing, I suppose, is that you respect yourself and you become clear that the behavior was hurtful and suggest ways that your husband might try making it up to you. At least to show his contrition. And you establish and maintain your boundaries, which should be clear and absolute. In your closing, you mention what seems to your primary goal: How to move on in the relationship and begin to trust him. My DH is constantly on the defense. I feel like some of the strategies mentioned in the LEAP section would make him feel like I’m “trying to psychoanalyze” him (his words). When I start asking about his feelings he gets very wary. However, some of the other strategies & language will be very helpful. Admitting I might be wrong and taking some of the blame will disarm him. “Maybe I am _______ and I’ll work on it, but in the meantime I need you to work in helping me.” I can see myself saying this. You got it: Adapt the strategy to your situation. What you think might work for you two. Interesting reading NL’s comments. I could have written it myself. I feel exactly the same way, except that he does have a diagnosis but refuses treatment, and basically “refused” to work for most of our married life. So not only I had to be the one that does everything around the house, kids, etc, I also had to work full time. Now he has had a job for 3 months, he wants everything to be great, like nothing happened. He is working now and helping out. Like he is doing me a favor. I have suffered so much and really don’t have the energy to put into this marriage with a man who will not do his part of the deal, only does when I threaten him, so obviously it is just temporary, it doesn’t last. Your husband is in denial too? I think we already corresponded via e-mail. Please read my book’s chapter on “Getting Past Denial.” It will be pivotal to your understanding of what you’re up against and how things might change. I feel that all this advice puts the wife, once again, in a parenting role to her husband. There comes a time, when an adult needs to see the impact their dysfunction has on those around them and take responsibility for getting themselves functional. As long as he is getting all of that put into place, her patience is really all that is needed – not all this hoop jumping to ”get him” to do this and that. He is ADULT now and a wife deserves a husband, not an overgrown child. Unless ADHD is an actual mental handicap, then it should be, while challenging, the persons responsibility to help themselves be better for those around them. We are not training pets or children, an adult (usually male) human should take more responsibility for how they are effecting others. I understand your perspective. It’s shared by many people who don’t understand developmental disabilities such as ADHD. But did you miss the entire topic of this post? 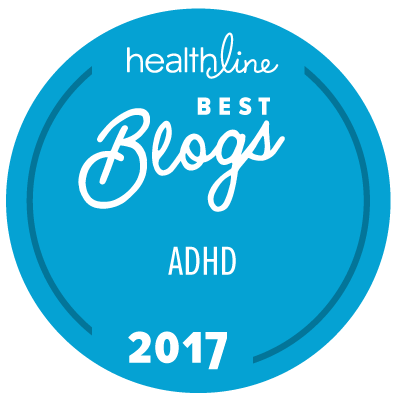 You wrote: “Unless ADHD is an actual mental handicap.” ADHD is considered the most highly impairing psychiatric outpatient condition. More than anxiety. More than depression. etc. “There comes a time when an adult needs to see the impact their dysfunction has on those around them.” When would that time be, for people with ADHD whose very symptoms impair their insight, empathy, reciprocity, and other behaviors we expect of adults? For many, it’s decades. And decades too late for their relationships. The goal with the partner getting involved (in helping the ADHD partner out of denial, in finding competent mental-health professionals), is to be able to eventually step back from the parenting role. Until that happens, for many couples, there will be no improvement. You don’t mention if your own husband has ADHD. Perhaps your “hands-off” attitude works for you. 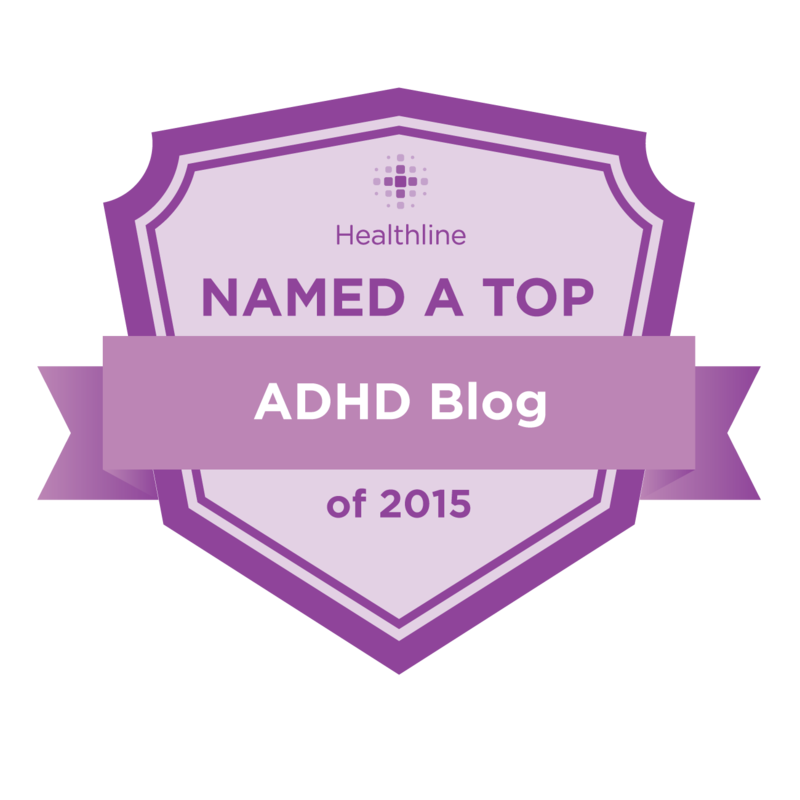 ADHD is not monolithic; it ranges from mild to severe. 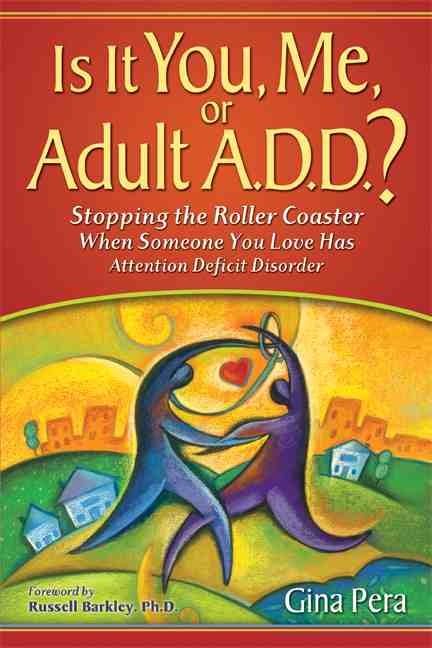 I encourage you to read my book and learn more about Adult ADHD, including the need for partnership in understanding ADHD and in collaborative strategies.